Although day care providers and day care centres are popping up all over the place, finding one that is equipped for children with special needs can be extremely difficult. Many caregivers or centres often dont have staff that are adequately trained, the resources or the tools to handle children with different needs and abilities. This can be a real dilemma for parents. It is often better to have more than one option or type of caregiver for your child. This may seem like a daunting task initially, but once you have a pool of qualified caregivers in place that you can call on for a variety of different needs, you will have a weight lifted off your shoulders, and a greater peace of mind that your child is properly cared for when you arent around. It can be to your benefit to research day care from a providers point of view and speak to someone who has advised many day care providers how to set up a successful, professional and well loved environment where children , especially those with special needs, can grow and thrive. With this knowledge you will know the correct questions to ask, and also be aware of what is expected from you, as the parent, by the provider. Julie at Child-care-business.com has many years of hands on experience as a child care provider, and her many qualifications , including special needs care, will help guide you in the right direction to finding the best available care for your child, from someone who has the correct qualifications and expectations about child care. Grandparents are often the first choice as caregivers, as they are involved with the childs daily life on a continuous basis. They have the skills and knowledge to provide a calming and stable environment for your child when you are not available. Grandparents, however are not always the answer. They may live to far away or have health issues that may preclude them from becoming day care providers for your special needs child. Look for a mature, older sitter. You may be fortunate to find a parent of a grown special needs child that will be willing to provide day care, or even some much needed respite. This would be an ideal situation as this person has been in your position before and can understand your concerns, and be accommodating to your childs needs. Aupair or Nanny can provide one-on-one care for your special needs child in your home. The upside of this arrangement is that there is no travelling, your child is in their comfort zone, and had all their familiar toys and aides available to them. The downside is that there is no socializing or group activities with children of their own age. You may also find that Aupairs who have experience and training with special needs children is also more costly. 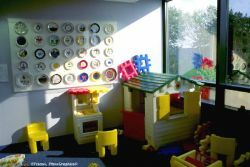 Private child care centres have the benefits of peer groups and socializing, and they are usually better equipped to accommodate special needs and integrate your child and their needs into the child care centre. Respite care may be another option if you are only looking for a temporary break. You can look for families in your area who have special needs children, through your local community centres or even agencies. Students who are studying Occupational, Physical or Speech therapy can also be a good option to look at, as these students will gain experience in their field, and will come equipped with the necessary skills to accommodate your child. Speak to your therapist, as she may have a recommendation for you or can put you in touch with the correct facilities for you to contact. 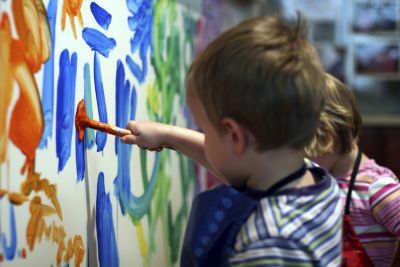 Deciding on the correct day care provider for your special needs childs can be a frustrating and challenging process, but with a little of legwork and persistence, you will find a fantastic day care provider, that meets all your requirements and that is best suited for your childs skills and abilities.